1. 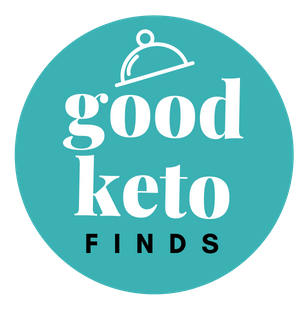 Welcome to Good Keto Finds a website owned and operated by Holley Creative. The Good Keto Finds website (the “Site”) is comprised of various web pages operated by Holley Creative, (“Holley Creative”,) and is offered to you conditioned on your acceptance without modification of the terms, conditions, and notices contained herein (the “Terms”). Your use of our tools, services, and functions (collectively, “our site”) constitutes your agreement to all such Terms. Please read these terms carefully, and keep a copy of them for your reference. Some transactions between a purchaser of any service or product that we offer may be subject to additional terms and conditions. Good Keto Finds is an E-commerce Site that provides free giveaways in exchange for your name and email address and also provides marketing advice related products and other tools, function, services and products for sale. We may also offer additional tools, functions, products, and services in the future. Visiting our site or sending emails to Holley Creative constitutes electronic communications. You consent to receive electronic communications and you agree that all agreements, notices, disclosures and other communications that we provide to you electronically, via email and on the Site, satisfy any legal requirement that such communications be in writing. If you use this site, you are responsible for maintaining the confidentiality of your account and password and for restricting access to your computer, and you agree to accept responsibility for all activities that occur under your account or password. You may not assign or otherwise transfer your account to any other person or entity. You acknowledge that Holley Creative is not responsible for third party access to your account that results from theft or misappropriation of your account. Holley Creative and its associates reserve the right to refuse or cancel service, terminate accounts, or remove or edit content in our sole discretion. Holley Creative does not knowingly collect, either online or offline, personal information from persons under the age of thirteen. If you are under 18, you may use our site only with permission of a parent or guardian. We do not promise that our site, or any of our products, services, tools or functions will be available 24/7 hours a day. Sometimes our site or functions may be unavailable due to scheduled or unscheduled repairs or other issues that may be outside of our control. You agree to waive any losses that you incur due to any such service outage. Our site may contain links to other websites (“Linked Sites”). The Linked Sites are not under the control of Holley Creative and Holley Creative is not responsible for the contents of any Linked Site, including without limitation any link contained in a Linked Site, or any changes or updates to a Linked Site. Holley Creative is providing these links to you only as a convenience, and the inclusion of any link does not imply endorsement by Holley Creative of the site or any association with its operators. Certain services made available via our site are delivered by third party sites and organizations. By using any product, service or functionality originating from the Holley Creative domain, you hereby acknowledge and consent that Holley Creative may share such information and data with any third party with whom Holley Creative has a contractual relationship to provide the requested product, service or functionality on behalf of the Holley Creative site users and customers. Your membership requires you to submit your valid email address as well as your valid physical address, as well as your true and correct name. You will be solely responsible for maintaining the security of your user ID and password. Should you decide to purchase any product or service from us, you must be legally eligible to enter into a binding contract, be of at least 18 years of age, submit only true, complete and accurate personally identifiable information to us, keep such information updated and maintain the accuracy of such information. Your use of our site must not violate the law in any jurisdiction. We may, at our sole discretion, limit some areas of the site, as well as certain designated tools, services and functions, to members and maintain them as “off limits” to members of the general public. Your membership is your express agreement that you agree to receive marketing email from us from time to time that will contain information and offers from third parties. You will be provided an opt-out function regarding such email communications. Note that we must always have the ability to email you regarding standard business issues regarding the administration of our site and business, and you may not opt-out of such non-marketing related business email communications. Memberships are not transferrable and may not be sold, exchanged, transferred or given away. Your membership is subject to our guidelines, policies and rules as stated on our site and each of the same are hereby incorporated by reference into these Terms as if they were fully set forth herein. We may offer subscription membership(s) that require a recurring monthly fee. We bill out every thirty (30) days or annually for such memberships regardless of the length of the related billing month. By purchasing any such membership subscription, you grant us the legal ability to charge your credit card or debit card for your monthly or annual subscription fee. We will continue to bill your card until and unless your subscription naturally expires pursuant to the stated terms of the subscription, or until you cancel the subscription subject to the terms of the subscription agreement. Please note that our monthly fees may change from time to time. In the event of a subscription price increase, we will send you thirty (30) days prior notice to your last known email address. If you do not agree to the modified subscription price, you may cancel your membership. Cancellations shall be subject to our posted cancellation policy. We may alter or terminate and of our products, services or functions at anytime with no prior notice to you. We may terminate your membership, or use of our site, tools, products, services or functions at anytime for any reason we find, in our sole discretion, to be appropriate without having any need to disclose that reason to you. Should we employ a Order system in order to engage you in a binding contract, you must follow all posted rules, guidelines and policies regarding the same. Purchase confirmations may be sent to you by us to your last known email address. All charges, fees and costs for any product or service shall be quoted in US Dollars unless otherwise designated by us. Any promotion code or offer provided through or by us cannot be used in conjunction with any other promotion code or offer, past or present. Introductory offers are limited to new users. Promotional codes are non-transferable. All content included as part of the Service, such as text, graphics, logos, images, as well as the compilation thereof, and any software used on the Site, is the property of Holley Creative or its suppliers and protected by copyright and other laws that protect intellectual property and proprietary rights. You agree to observe and abide by all copyright and other proprietary notices, legends or other restrictions contained in any such content and will not make any changes thereto. You will not modify, publish, transmit, reverse engineer, participate in the transfer or sale, create derivative works, or in any way exploit any of the content, in whole or in part, found on the Site. Holley Creative content is not for resale. Your use of the Site does not entitle you to make any unauthorized use of any protected content, and in particular you will not delete or alter any proprietary rights or attribution notices in any content. You will use protected content solely for your personal use, and will make no other use of the content without the express written permission of Holley Creative and the copyright owner. You agree that you do not acquire any ownership rights in any protected content. We do not grant you any licenses, express or implied, to the intellectual property of Holley Creative or our licensors except as expressly authorized by these Terms. Unauthorized commercial use of our site or functions is prohibited. The Service is controlled, operated and administered by Holley Creative from our offices within the USA. If you access the Service from a location outside the USA, you are responsible for compliance with all local laws. You agree that you will not use the Holley Creative Content accessed through or via any country or in any manner prohibited by any applicable laws, restrictions or regulations. INFORMATION, SOFTWARE, PRODUCTS, AND SERVICES INCLUDED IN OR AVAILABLE THROUGH THE SITE MAY INCLUDE INACCURACIES OR TYPOGRAPHICAL ERRORS. CHANGES ARE PERIODICALLY ADDED TO THE INFORMATION HEREIN. HOLLEY CREATIVE, LTD AND/OR ITS SUPPLIERS MAY MAKE IMPROVEMENTS AND/OR CHANGES IN THE SITE AT ANY TIME. HOLLEY CREATIVE, LTD AND/OR ITS SUPPLIERS MAKE NO REPRESENTATIONS ABOUT THE SUITABILITY, RELIABILITY, AVAILABILITY, TIMELINESS, AND ACCURACY OF THE INFORMATION, SOFTWARE, PRODUCTS, SERVICES AND RELATED GRAPHICS CONTAINED ON THE SITE FOR ANY PURPOSE. TO THE MAXIMUM EXTENT PERMITTED BY APPLICABLE LAW, ALL SUCH INFORMATION, SOFTWARE, PRODUCTS, SERVICES AND RELATED GRAPHICS ARE PROVIDED “AS IS” WITHOUT WARRANTY OR CONDITION OF ANY KIND. HOLLEY CREATIVE, LTD AND/OR ITS SUPPLIERS HEREBY DISCLAIM ALL WARRANTIES AND CONDITIONS WITH REGARD TO THIS INFORMATION, SOFTWARE, PRODUCTS, SERVICES AND RELATED GRAPHICS, INCLUDING ALL IMPLIED WARRANTIES OR CONDITIONS OF MERCHANTABILITY, FITNESS FOR A PARTICULAR PURPOSE, TITLE AND NON-INFRINGEMENT. Holley Creative reserves the right, in its sole discretion, to terminate your access to the Site and the related services or any portion thereof at any time, without notice. To the maximum extent permitted by law, this agreement is governed by the laws of the State of Maryland and you hereby consent to the exclusive jurisdiction and venue of courts in Maryland in all disputes arising out of or relating to the use of the Site. Use of the Site is unauthorized in any jurisdiction that does not give effect to all provisions of these Terms, including, without limitation, this section. You agree that no joint venture, partnership, employment, or agency relationship exists between you and Holley Creative as a result of this agreement or use of the Site. Holley Creative’s performance of this agreement is subject to existing laws and legal process, and nothing contained in this agreement is in derogation of Holley Creative’s right to comply with governmental, court and law enforcement requests or requirements relating to your use of the Site or information provided to or gathered by Holley Creative with respect to such use. If any part of this agreement is determined to be invalid or unenforceable pursuant to applicable law including, but not limited to, the warranty disclaimers and liability limitations set forth above, then the invalid or unenforceable provision will be deemed superseded by a valid, enforceable provision that most closely matches the intent of the original provision and the remainder of the agreement shall continue in effect. Unless otherwise specified herein, this agreement constitutes the entire agreement between the user and Holley Creative with respect to the Site and it supersedes all prior or contemporaneous communications and proposals, whether electronic, oral or written, between the user and Holley Creative with respect to the Site. A printed version of this agreement and of any notice given in electronic form shall be admissible in judicial or administrative proceedings based upon or relating to this agreement to the same extent and subject to the same conditions as other business documents and records originally generated and maintained in printed form. It is the express wish to the parties that this agreement and all related documents be written in English. Holley Creative reserves the right, in its sole discretion, to change the Terms under which our site is offered. The most current version of the Terms will supersede all previous versions. Holley Creative encourages you to periodically review the Terms to stay informed of our updates. Your usage of the site post any published change in these Terms is your express agreement with Holley Creative that you will be bound by each term and condition of the modified Terms. Definition: “intellectual property” means any material that is copyright protected under US law or the law of any nation, as well as any trademark, trade dress, produce, service, text, software, video, graphic or sound file. You may not independently provide any of our intellectual property to any third person or entity or use it in any manner not expressly authorized by us. You may not violate the law of any jurisdiction while using our site, or our tools, services, functions or products. You agree not to upload, post, email or otherwise send or transmit or introduce any material that contains software viruses or any other computer code, files or programs designed to interrupt, harm, damage, destroy or limit the functionality of any computer software or hardware or equipment linked directly or indirectly with our site or it’s functions. You agree not to interfere with the servers or networks underlying or connected to our site or our services or to violate any of the procedures, policies or regulations of networks connected to our site. You may not access our site or any product, service, tool, or function in an unauthorized manner. You agree not to impersonate any other person while using our site, conduct yourself in an offensive manner while using our site or use our site for any illegal, immoral or harmful purpose. Any user-generated content that you provide us is presented to us by you in conjunction with a mandatory, transferrable, royalty free, perpetual license. This includes any text, graphics, sound files, video files and any other content that is now or will be uploaded to us by you now or in the future. You are solely responsible for any legal issues, liability and damages associated with any content that you upload to us, including any violations of intellectual property laws. We are free to edit, censor or remove any user-generated content but you agree that we have no duty to do so. We respect copyright law. If you believe that there has been an infringement of your copyright please contact us and send us a properly drafted notice pursuant to the rules of the Digital Millennium Copyright Act of 1998 (the “DMCA”) to report alleged infringements. You may link to our home page, provided you do so in a way that is, in our sole discretion, appropriate and legal and does not damage our reputation or take advantage of it, but you must not establish a link in such a way as to suggest any form of association, approval or endorsement on our part where none exists. Our site must not be framed on any other website, nor may you create a link to any part of our Website unless you have written permission to do so from us. We reserve the right to withdraw linking permission with written notice. The website from which you are linking must comply in all respects with the content standards set out in our acceptable use policy. Content on this website is only for reference purposes. No information that you are exposed to in any format is intended to be legal or medical advice or any other nature of professional advice. We do not recommend that you use this information to self-diagnosis or treat symptoms and that you always consult a health-care provider before making any changes that might affect your health. If you require such advice, please seek out the appropriate licensed professional. Information presented on this website should be accompanied by reading food labels, warnings, and directions before using or consuming a food product. Contact the manufacturer for additional information about products that are listed on this website. We make a strong effort to ensure all information on this website is accurate but cannot always guarantee is without error, complete or current. The most current information can be found on the manufacturer’s website. We are free to assign or transfer this Agreement in whole or in part without any prior notice to you. You have no right to transfer or assign this Agreement. These Terms and any document expressly referred to in them constitute the whole agreement between us and supersede all previous discussions, correspondence, negotiations, previous arrangement, understanding or agreement between us relating to their subject matter. Nothing in these terms provide any third party rights.